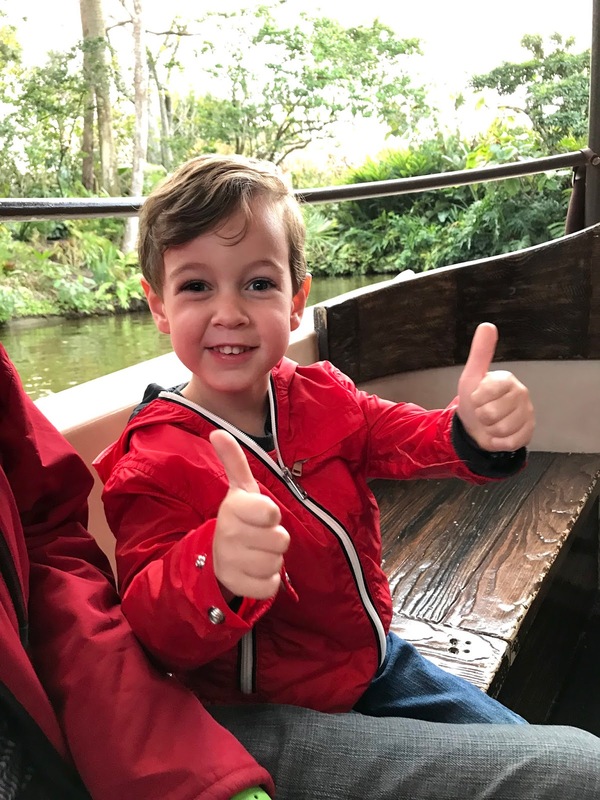 Below is how Parker felt after our first full day at Walt Disney World. 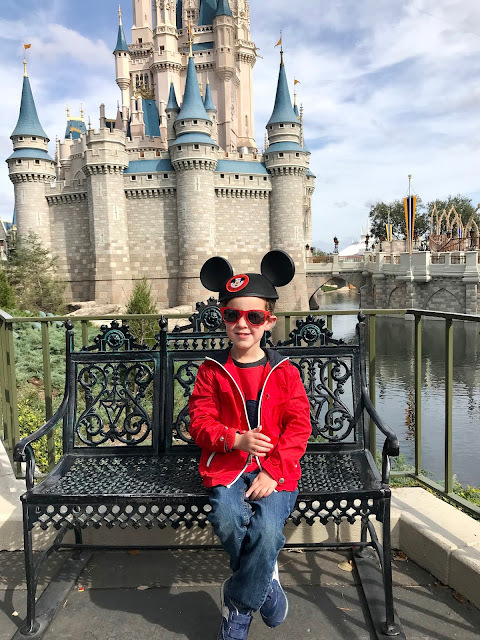 We tried to let him sleep as long as we could on day two, then fed him a quick in-room breakfast of milk and yogurt before heading off around 8:30AM so we could experience rope drop at The Magic Kingdom just like the day before. When planning our trip, I knew I wanted to do two full days at The Magic Kingdom so we could see and do everything (and we just about did!). Being the only child has its perks - Parker got to once again select our first ride of the day. 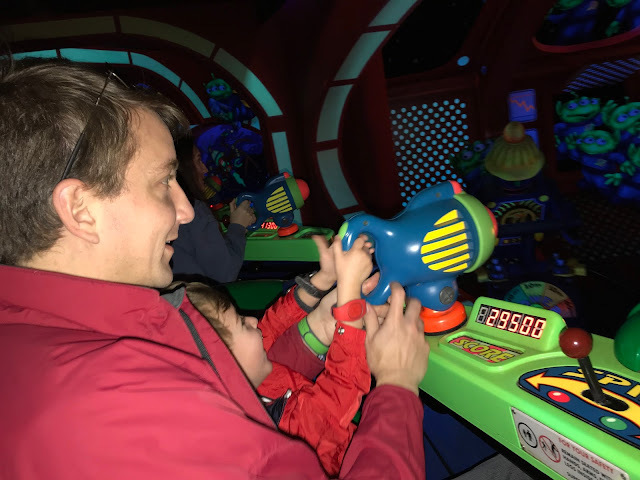 If he's anything, he's a creature of habit, and requested Buzz Lightyear's Space Ranger Spin, which is how we started our morning the day before (even though I told him we had a Fast Pass to go on it that afternoon). 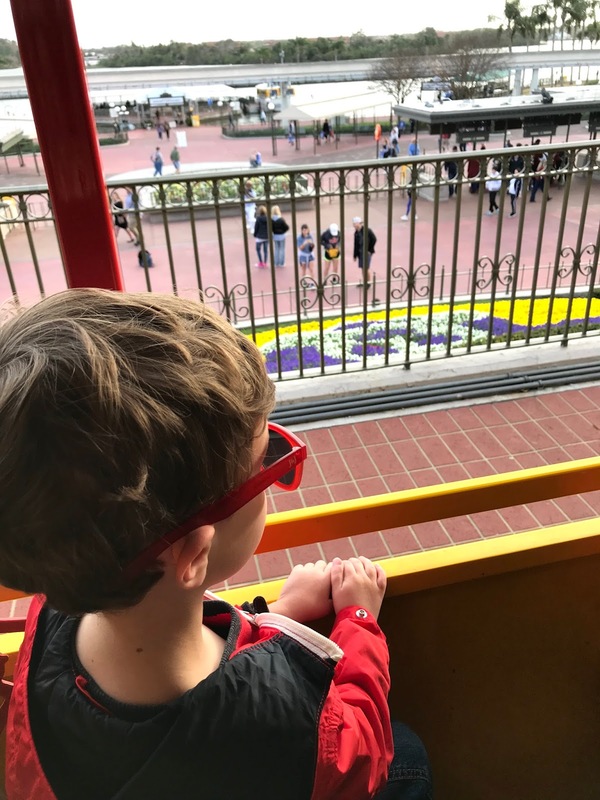 He claimed it was his very favorite ride, so we were happy to oblige. 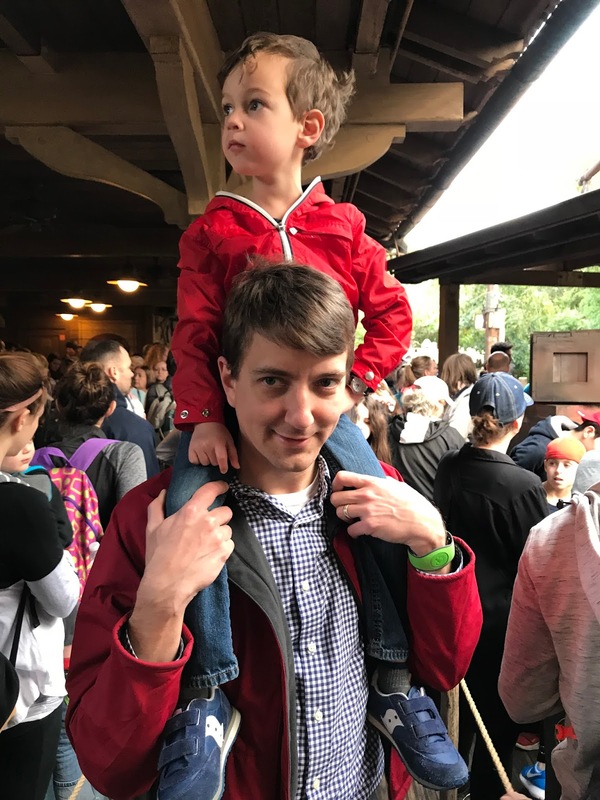 We hopped off around 9:20AM, saw that there was still only a short (15 minute) wait, so we told Parker we'd be silly and ride it again! Twice in a row! 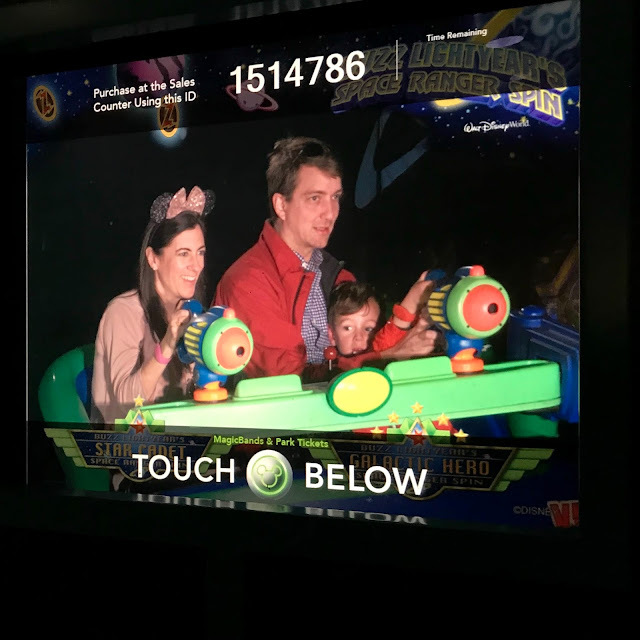 Parker only wanted to ride with Mommy (I think he knew he would always beat my score, haha!). After our second spin, we saw the line was still short enough that we could fit in one more ride before our 10:05AM brunch reservation. 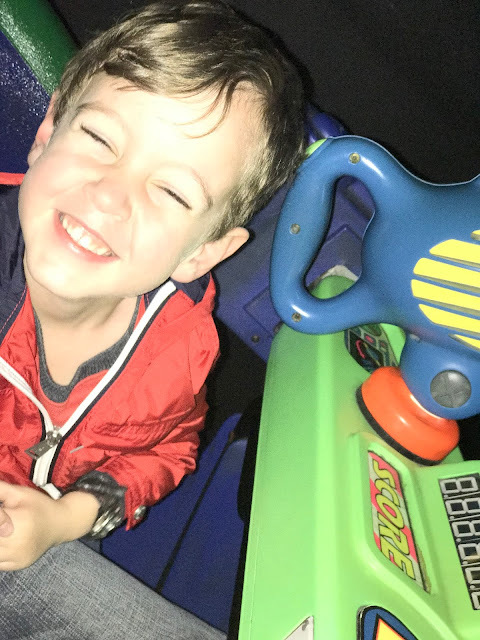 This is the giddy face of a four-year-old getting to ride his very favorite attraction three times in a row. Side note - I loved that my boys were in red on this day! If we ever split up (say, to use the restrooms) they were so easy to find afterward! 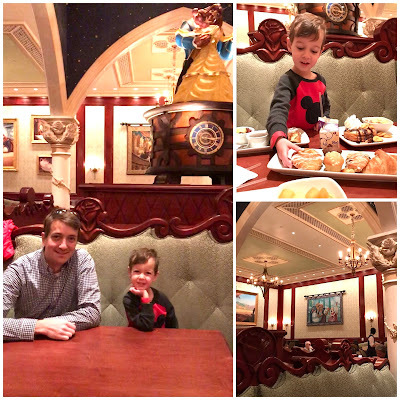 10:00AM We had reservations for a Quick-Service meal at Be Our Guest, The Magic Kingdom's newest restaurant. This is the only quick service spot that requires a reservation, and we were also able to pre-order our food. 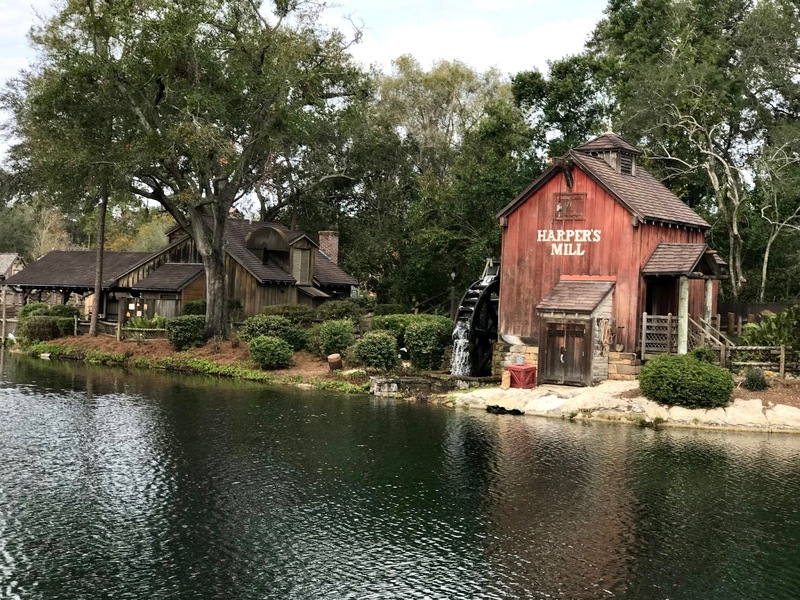 It's the most expensive of all the quick-service options (so a bargain for your meal plan), but the price is largely due to the Disney factor and not the quality of the food. At five months out when I made our dining reservations, there were only a couple times from which to choose, so we were lucky to get in. At night, it turns into a table service character restaurant with visits from The Beast, but for breakfast and lunch you get to choose your own table in one of three rooms. There's the West Wing (a bit foreboding and dark, just like in the movie), the grand hall, and the sitting room. The hall was fancy and had gorgeous chandeliers, but we preferred the quieter, more intimate sitting room with the comfy sofas. After we checked in and scanned our bands, we found a table in the sitting room and then went to get our self-serve drinks. And then, our food was delivered right to our table! We are still trying to figure out the "magic" on this one - our best guess is that there's a scanner at each table that detects Magic Bands. Really, it was super impressive. As for the actual food, think somewhere between cafeteria and room service, with Disney prices. 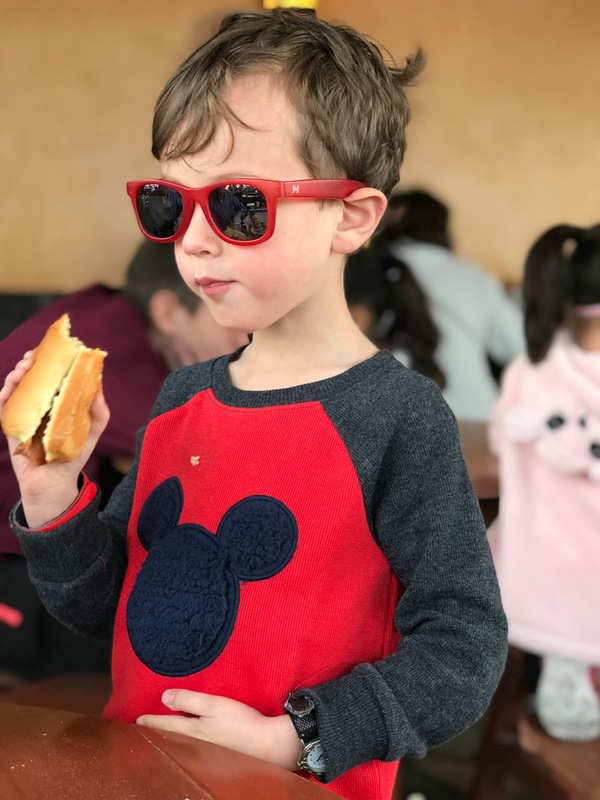 I think Max won best selection with his Cronut (and all tables are also served a platter of pastries at Breakfast service). If you can score a reservation, it's definitely worth it to get to eat in such a fun setting (and doing it as a quick-service meal meant we didn't have to give up a table service credit). 11:00AM Now, I assumed that after brunch we'd go to the Enchanted Tales with Belle attraction (it's literally right next to Be Our Guest Restaurant). 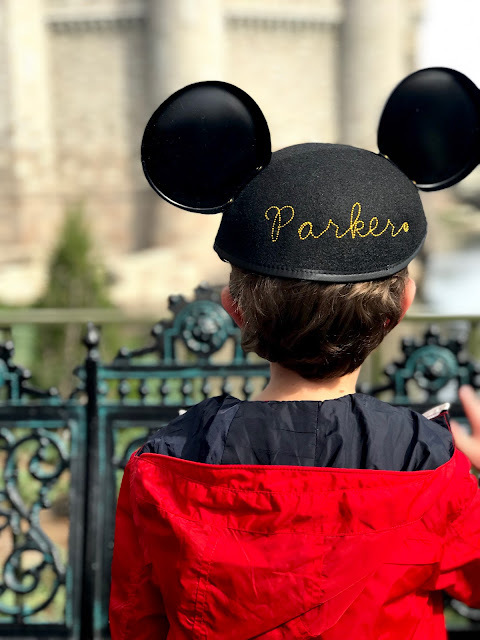 Parker loved seeing all the princesses at dinner the night before, but when he was presented with the option, he said he wanted to see the pirates instead 😂 I still think he would have liked to have seen Belle, but he had Daddy on board with Pirates of the Caribbean. So off we headed to Adventureland. The line for Pirates was 40 minutes at that point, which ended up being the longest we waited for any ride the entire trip (between Fast Passes and staking out the times on the mobile app, pretty much everything else was 20 minutes or less). Parker was a champ in line, and Mommy had fun spotting all the Johnny Depps throughout the ride. We ended up in the very front row, and discovered that it's the row that gets splashed on this ride! 12:00PM We headed back to Fantasyland to use our first Fast Pass of the day: 11:35AM for It's A Small World. 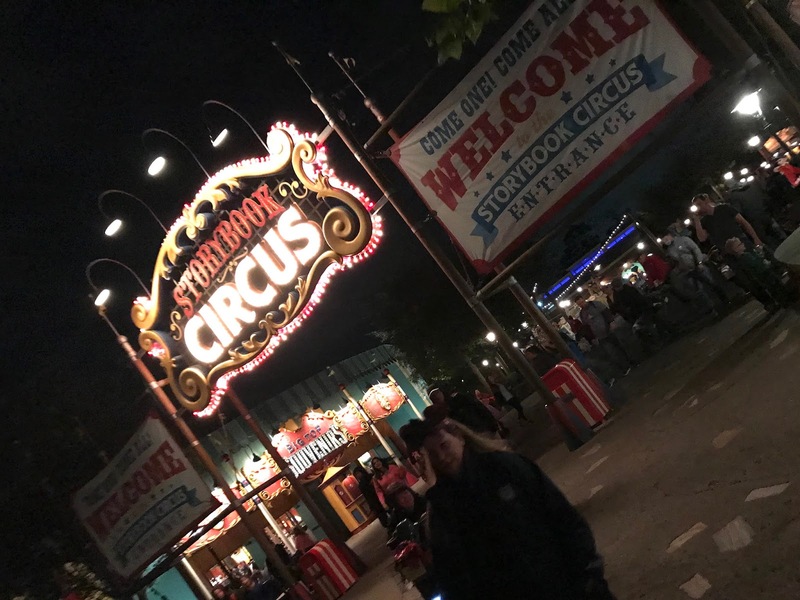 While this wasn't a must-do Fast Pass (there are times when the wait for the ride isn't too bad), I booked a Fast Pass for it because I really wanted to make sure we made it on. It's such a classic favorite, and one that I distinctly remember from childhood. That song is still the sweetest! And we loved spotting our names in the Good-Bye area! 12:30PM We had about a half hour until our Seven Dwarf's Mine Train Fast Pass - this was the pass to have. 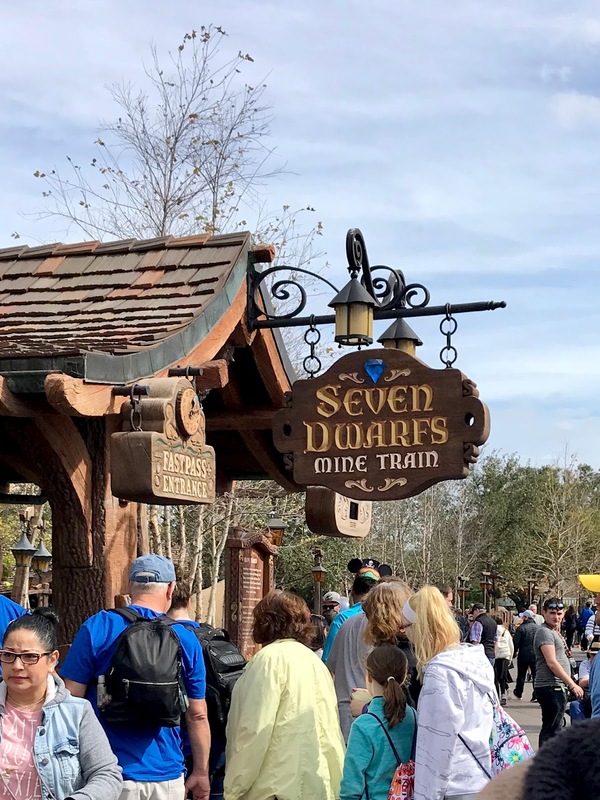 Seven Dwarf's Mine Train is The Magic Kingdom's newest ride, and the wait times are insane (think 200+ minutes). Since we were already in Fantasyland, we headed over to Mickey's Philharmagic to spend the time until our Fast Pass. We weren't sure what to expect besides it being some kind of show. It ended up being a fun, 3D musical movie showcasing characters and songs from tons of Disney classics. The sensory additions were my favorite part (squirting water on us during an ocean scene, spraying a scent while playing a dinner scene). 1:00PM We still had s few minutes until our Fast Pass, and Prince Charming's Carousel had almost no wait, so we all hopped on for a spin! 1:10PM Then it was time! I'm so happy that we watched Snow White and the Seven Dwarfs prior to coming because the ride totally showed all seven dwarfs, their mine, and tons of colorful gems! The majority of the ride was a super fast rollercoaster on swinging cars. You probably can't tell by my face below, but I was having loads of fun. After disembarking, we all concurred it was our new favorite ride. 1:30PM We picked up some hot dogs for a super-fast quick-service meal. 2:00PM We stopped for a photo op in front of Cinderella's castle. 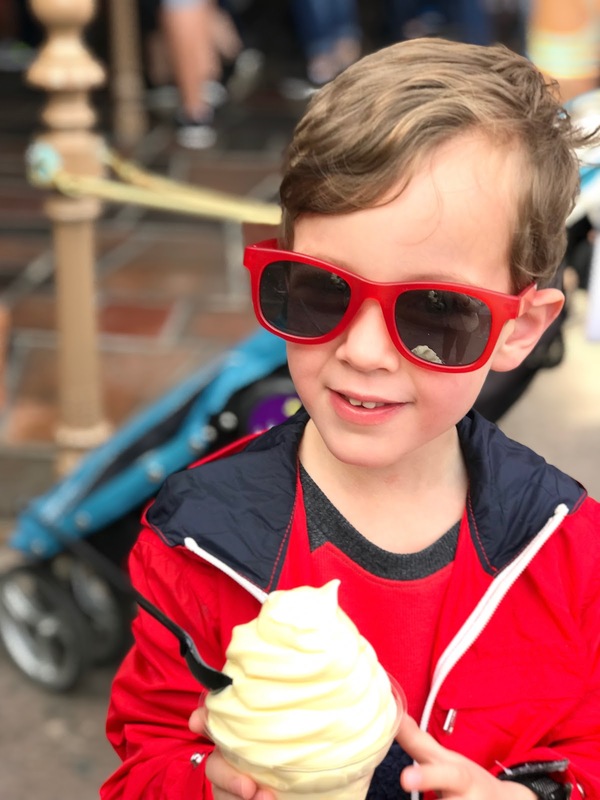 Parker was still not a fan of his new Mickey ears, so I pretty totally bribed him with the promise of Dole Whip. It was one of those "Am I the best mom ever or worst mom ever?" moments. 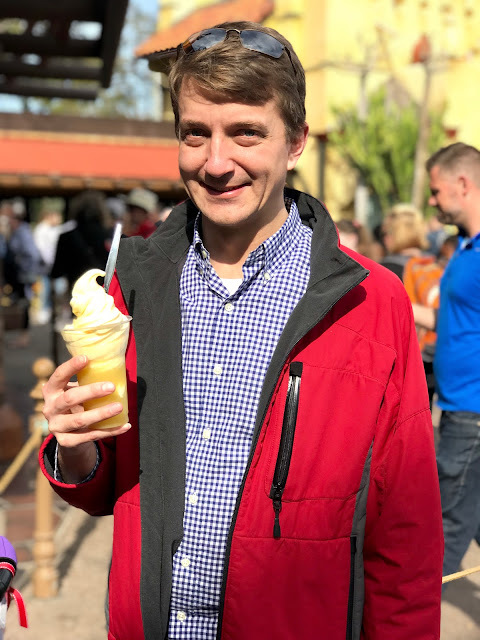 2:30PM The promised Dole Whip! Seriously, I'd eat it breakfast, lunch and dinner. And a Dole Whip Float for Daddy. 3:00PM After our snack break we asked Parker if he wanted to watch the parade again. Practical Parker said he had already seen it the day before, so we hopped on the train instead. It picked us up in Frontierland, and went right by Thunder Mountain Railroad. 3:30PM We hopped off the train in Fantasyland and beelined for Buzz Lightyear in Tomorrowland, our last Fast Pass of the day. We were hoping the line would be short due to the parade going on, and we were correct! So instead of using our 3:10PM Fast Pass, we hopped in the regular line first with the intention of riding it a second time in a row with the Fast Pass. Our plan worked perfectly! The second time through, we all hopped in one car together. 4:15PM Back on the train! 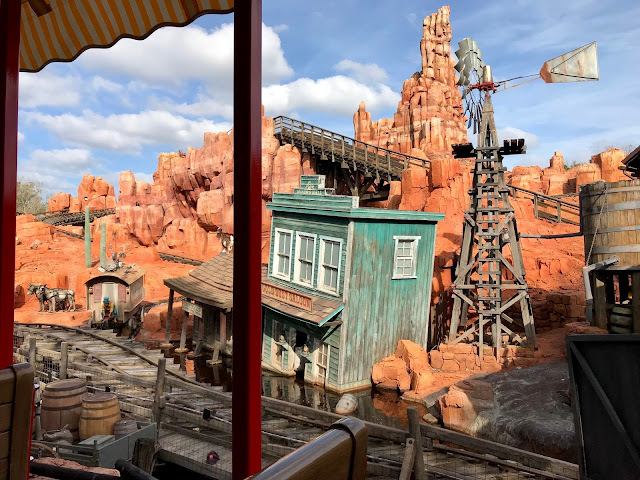 We hopped back on in Fantasyland, rode it through the front of the park, and ended up back in Frontierland. 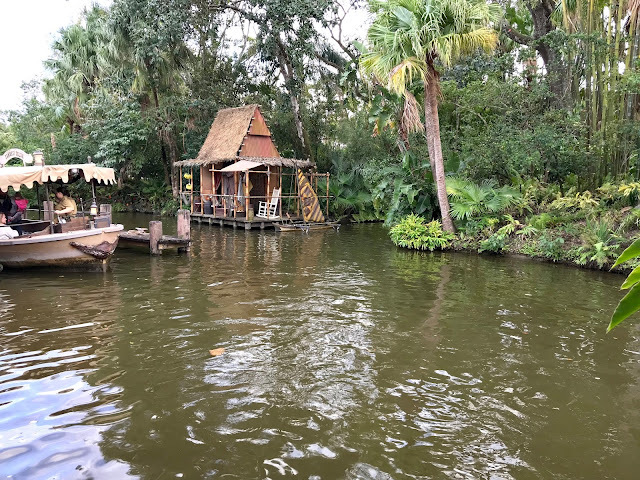 4:45PM We realized we were right by The Jungle Cruise, which we still haven't made it on, so we decided to give it a go! Since the park was closing at 8pm this day, we tried to power through the whole day instead of napping. Our tired guy needed a little lift from Daddy. Onto the ride with our silly driver! Parker gave all the funny jokes two thumbs up. 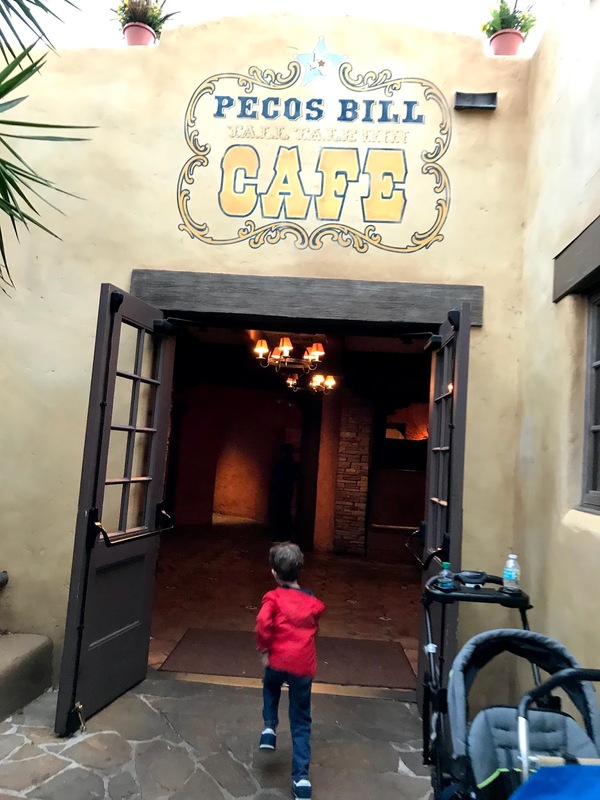 5:45PM We headed to Pecos Bill Tall Tale Inn Cafe for a quick-service dinner. Think Taco Bell to set your expectations and you'll be pleased. I actually really enjoyed my beef nachos (especially the serve-yourself topping bar for them). Parker ordered his own meal using "please" and "thank-you" which was something we had worked on long ago, and is just his norm to do now. 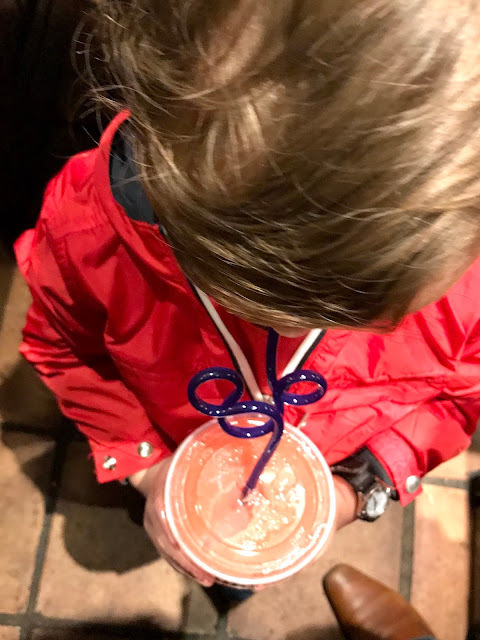 The cashier taking our order said she was so impressed with his manners and how polite he was that she wanted to give him a strawberry slushy. Y'all, he was just thrilled (and hearing your child be complimented by a stranger is so heartwarming). 6:45PM After dinner we were debating staking out a spot for the fireworks show, or hitting up a ride or two and calling it a night. Parker voted for going back to the hotel (Little Man was tired), but he asked to ride Dumbo one more time. That we could do. I'm so happy we made it over to Fantasyland at night because it looked completely different all lit up! 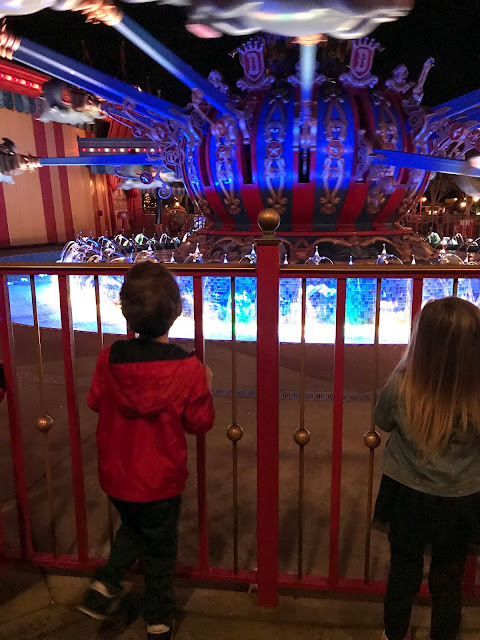 7:30PM We were able to ride Dumbo twice in a row before we headed out of the park. 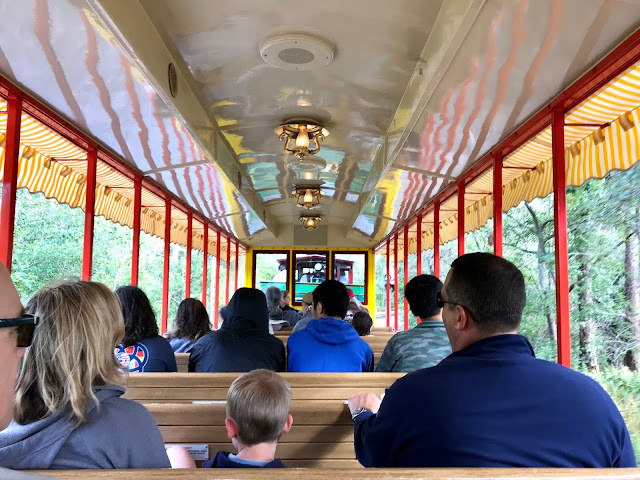 The area around the castle was crazy packed, as was Main Street (like, too many people for my own comfort level) but it was an awesome time to ride the Monorail because it was practically empty. 8:00PM We made it back to The Contemporary just before eight and headed up to the balcony to view the fireworks. 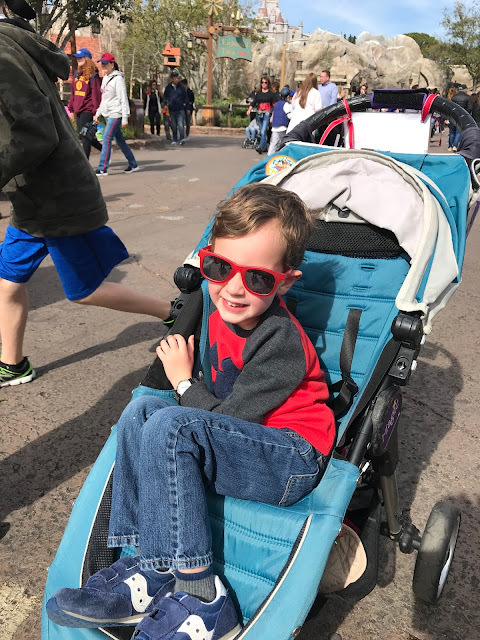 Literally after one minute, Parker said he was done (this guy was a champ for making it through that whole day) so we headed in and passed Max's cousin and family as were were walking through the hotel! It was so very random and special to run into them - what are the odds that we all would have been staying at the same hotel over the same dates (and that we would cross paths?!). 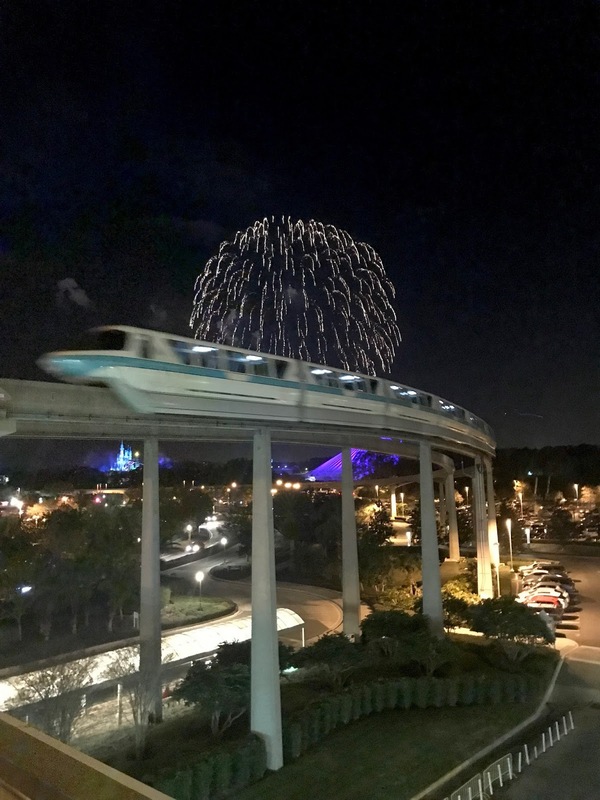 Later that night, I checked our schedule for the next day using the Disney app (it has everything from restaurant reservations to Fast Passes and park times - it's totally a must for visiting WDW). Our summary for Day Two: three quick-service meals, one show (Mickey's Philharmagic), twelve rides (including five times on Buzz Light Year's Space Ranger Spin), one train ride around the park, seven miles walked on foot, one stop for Dole Whips, and one Monorail ride back to our hotel. Next up - Epcot! What a fun day! You all really packed a lot into the day too! 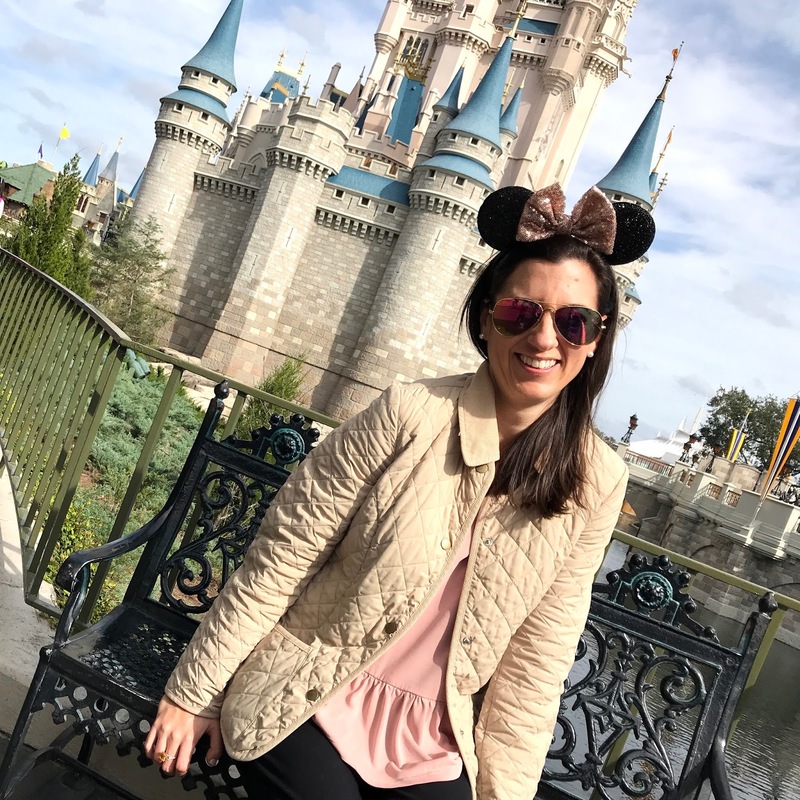 We went to Be Our Guest before our daughter was born, and I loved it! If you go again try the grey stuff (it’s delicious)! Don't believe me? Ask the dishes! Lol! That app is soooo cool. I will definitely download that. I LOVE dole whip. It is my favorite. i can't wait to take the girls here when they are a little older. Love Parkers sunglasses! Husby just deleted the app (since we aren't headed back anytime soon) and he said it was so sad!! It was worded like "Are you SURE you want to DELETE DISNEY??"